A DeviantArt member named fediaFedia is working on an awesome looking theme, which brings Metro UI to your Windows 7 desktop via Rainmeter software. 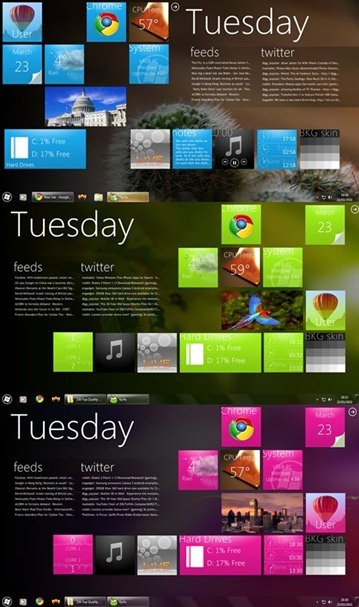 It certainly is a very tempting theme, which is inspired by WP7S, and definitely worth a look. Even though it’s not ready yet for primetime use, thought we’d just share it with you guys.